John Mattson is a family-run company with residential and commercial properties in Lidingö. 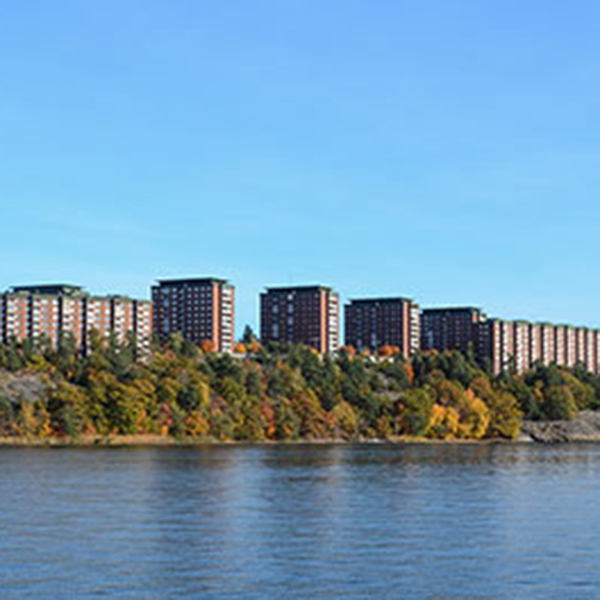 Our housing stock includes 2 200 apartments in the suburbs of Larsberg, Baggeby, Käppala and Dalénum – all located on Lidingö, outside Stockholm. We strive to contribute 500 new homes in Lidingö whitin the next couple of years. The values of our founder still stands strong today. We create events that brings neighbours together. We provide good homes for generations. Greenery and ocean right around the corner from all of our houses. John Mattson owns and administrates residential and commercial properties within Lidingö, Stockholm. The residential area is 119 600 square meters. The commercial area is about 14 500 square meters. At the end of 2017 John Mattson owned 24 properties with a total market value of SEK 4.7 billion. The main tenants are ICA Kvantum and the Malmsten, Linköping University. (former Carl Malmsten Furniture Studies). 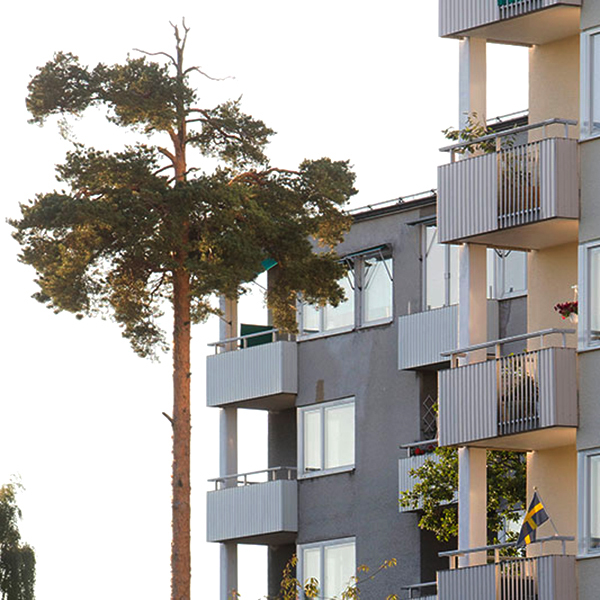 The management of our residential and commercial premises is from Larsbergsvägen 10, Lidingö. The number of employees is 25 (2017), all working at the headquarters. John Mattson (1915–1995) began his career in the nineteen forties. Within a couple of decades he established one of Sweden’s greatest property construction and real estate companies. In 1965 John Mattson sold off the construction line of the business and retained a selection of specially chosen properties in a new company; John Mattson Fastighets AB. The company is mainly still in family possession. This influences the engagement of all the co-workers, as well as it shapes the relationships with our tenants. Our history has provided us with a profound knowledge of real estate and real estate management. We combine our history with innovation and progression in order to serve the market of today. We aim to be perceived as professional, serious and long-term. Not only do we own and administrate our properties, but also the confidence of our customers. Our experience tells us that a good foundation for fortunate business is established in close relationship with our tenants. By phone: Call our customer support at 08-613 35 00. File a service request online: Log in to your account (Mina Sidor) and follow the instructions. In person: Visit us at Larsbergsvägen 10 in Lidingö. You can find the frontdesks opening hours at the top of this page. All of our vacancies are sought through the housing agency, Stockholms stads bostadsförmedling. In order to sign a contract for one of our apartments you must meet a number of requirements, including fixed income. You can find more information about the housing agency’s routines and requirements on the link below. 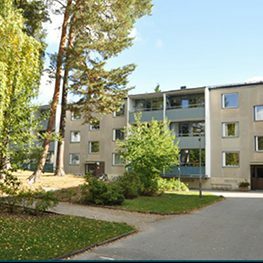 On June 29’th, 2018, John Mattson acquired real estates in Käppala, located in the southwestern of Lidingö. 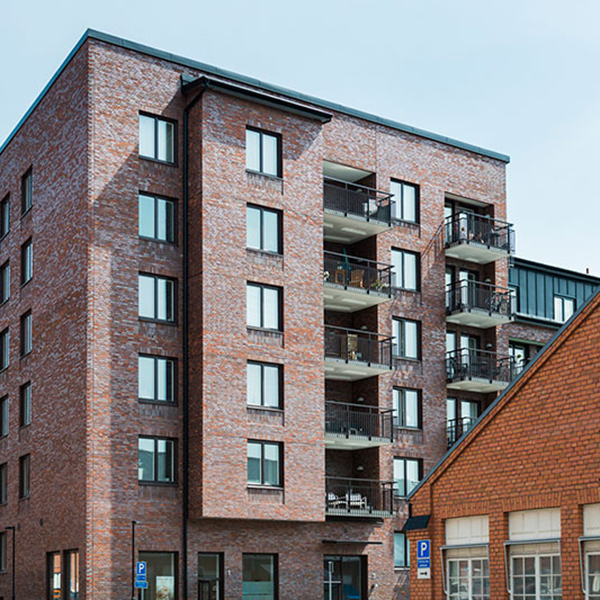 John Mattsons stock comprises of two house properties on Merkuriusvägen and Herkulesvägen, both built in the 1960’s and containing a total of 480 apartments. Building contractor John Mattson built all of Larsberg in the late 1960’s according to his vision of the welfare state called ”Folkhemmet”. As of today, the main part of the Larsberg territory is still in our possession. We own approximately 1 370 apartments in the area, and looking ahead year 2030, John Mattson estimates a possibility to create 1 000 new residents in Larsberg. Our two houses in Baggeby is located on Farkostvägen and on Barkassvägen, and have a spectacular view over Stockholm. In the historical AGA factory grounds of Dalénum on Lidingö, John Mattson owns a property built in 2015. The 146 modern apartments share a sunny courtyard, and the tenants are able to park their cars under the house.